Daisy Chain Book Reviews: Cover Alert & Series Comparison: Expertus by Holly Lauren. Cover Alert & Series Comparison: Expertus by Holly Lauren. Expertus (GenEx Saga #2) by Holly Lauren || Release date: Oct. 5th 2014. 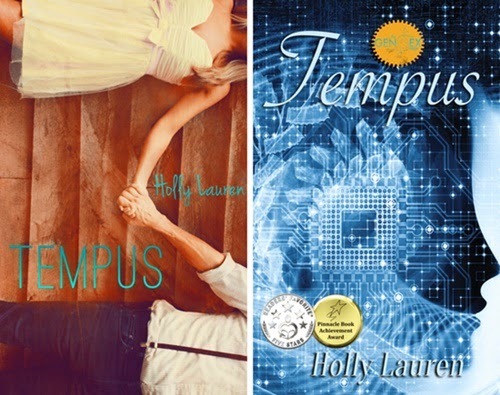 You might remember that a little while ago I read and loved a little book by the name of Tempus by Holly Lauren. Tempus is one of my 2014 favourites and I've been eagerly awaiting news of a sequel. 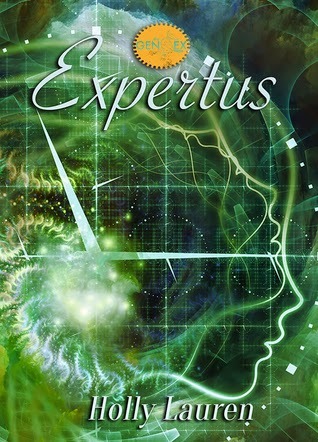 Well, Expertus is almost here and it looks as though the series has gotten a cover makeover. I have to say it: I'm not a huge fan of this new cover look. Yes, I guess it fits the series - Tempus is a touch paranormal, a touch science fiction; and from what we learned at the end of the first book, and this new cover direction, I'm guessing the Sci-Fi aspect will be amped up in the second book. Now, I'm not a fan of Sci-Fi - it turns me right off. If this was my first look at the series, I'm not sure that I would have picked up Tempus. And then, I would really have missed out on a great read! Here's are the old and new covers of Tempus side-by-side. I know that the old cover doesn't exactly scream paranormal or science-fiction, and I think that's maybe what I liked about it. Well, that and the fact that it's quite pretty! Have you read Tempus? If not, it's definitely worth checking out. Here's my review: clicky. I really like the new covers, but seeing them side by side with the original is certainly a bit of a shock. I would never in a million years guess that these were the same books based on the covers! I haven't heard of this series, but it sounds interesting, so I will have to keep my eyes open for these books.